Take the next step in haircare professionalism; go online. Professional hairdressers know nowadays you'll need more than just your physical hair salon to become the expert in the industry. You have to get out there in the online world and make yourself known. You have to create raving fans. Over 80% of people will start looking for your expert advise by firing up Google. If your not amongst your peers you've already lost. 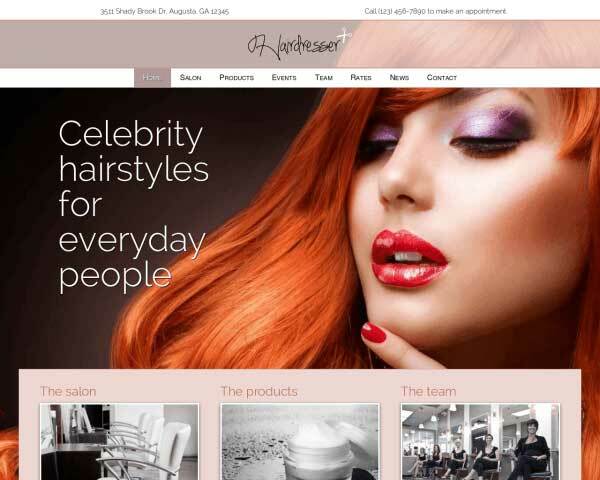 The Hairdresser WordPress theme will prove to be the best weapon of choice in this online battle. 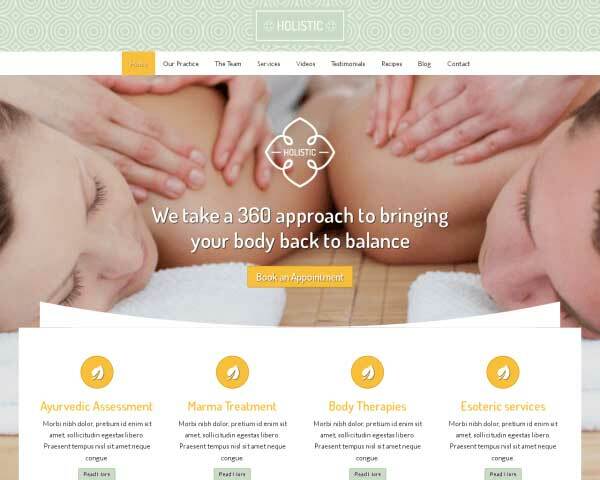 Haircare professionals looking for a rock-solid online solution to build a website have to look no further. 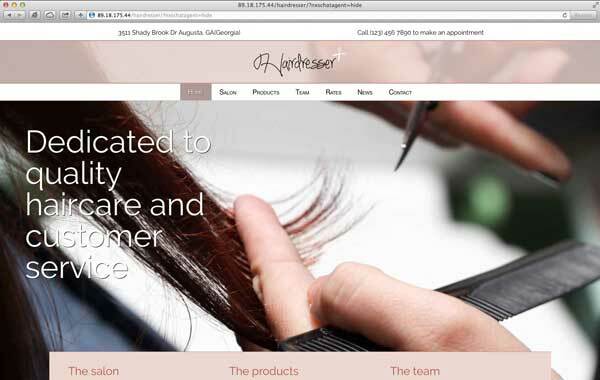 With the Hairdresser WordPress theme their search will end. It's a combination of a dazzling design, coupled with the most advanced user interface known to man all packed in a fully responsive package. 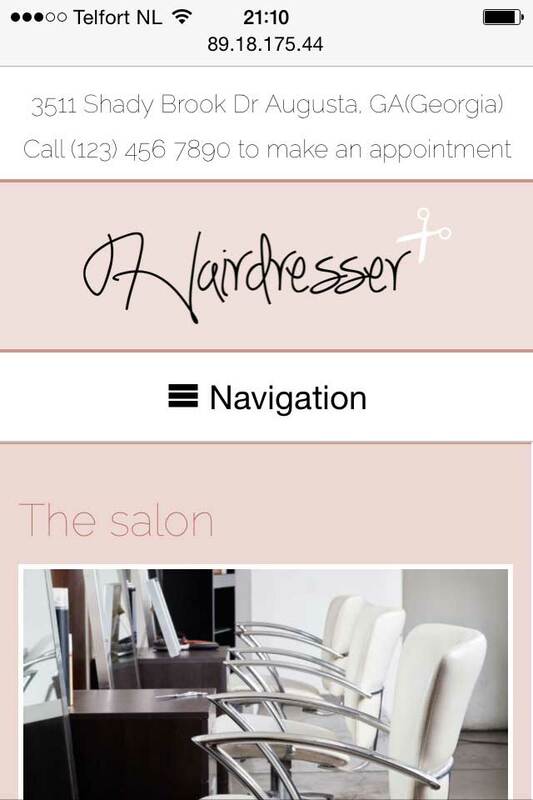 Add to that core features any hair salon will need and you'll have your quality online presence in no time. An eye-catching fullsize slider, powerful blog features, events overview with Google calendar, team section, image galleries to showcase your salon, easily editable prizing tables, appealing call-to-actions, trust icons, a plethora of social media options and much much more are incorporated in the Hairdresser WordPress theme. Attract new visitors to your website by keeping it up-to-date with the latest news from your community. Our themes enables you to do just that with our integrated blog features. 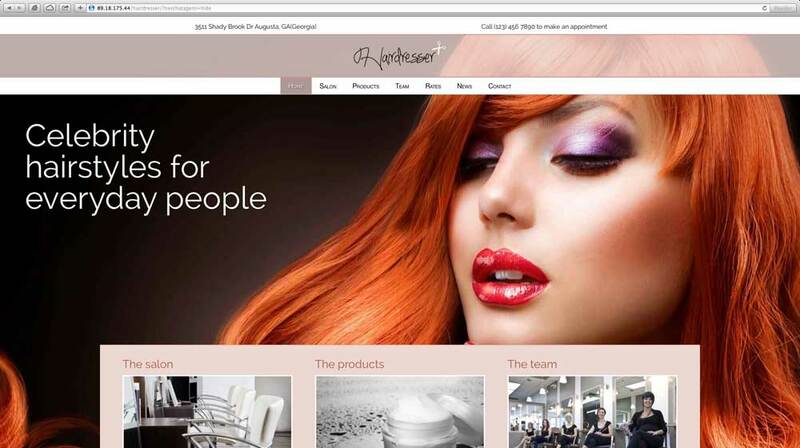 The Hairdresser WordPress Theme comes pre-designed with inviting colors and a clean layout, all that's remaining is to add your details and you're ready to take the beauty industry by storm! If you have important events you want to show, both an events overview and an event calendar are at your disposal. 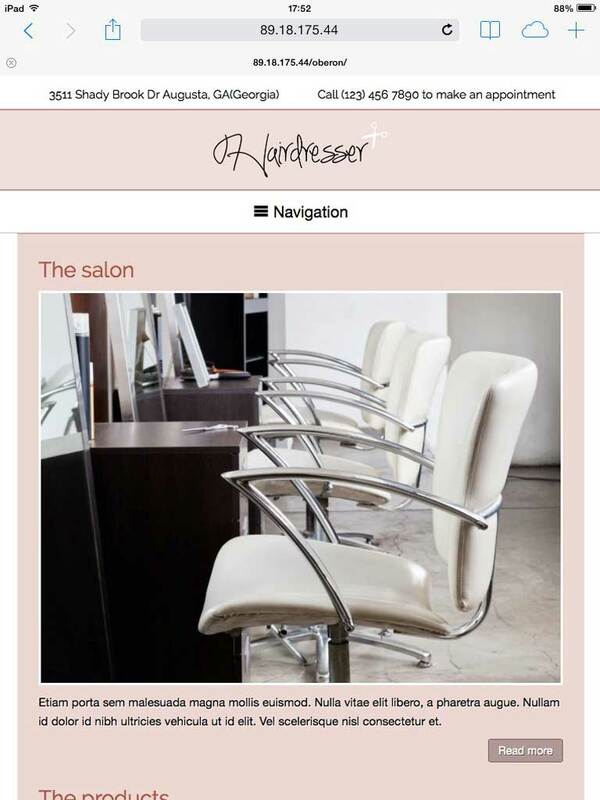 With an events overview linking to a Google calendar the main highlights of your hair salon can be placed on your site. Your prices and packages could not be any more clear than when displayed in bright blocks on the dedicated page of the Hairdresser WordPress Theme. When adding a photo gallery, choose from a two-, three- or four-column layout. Clicking on any thumbnail opens the image in an elegant lightbox slideshow. 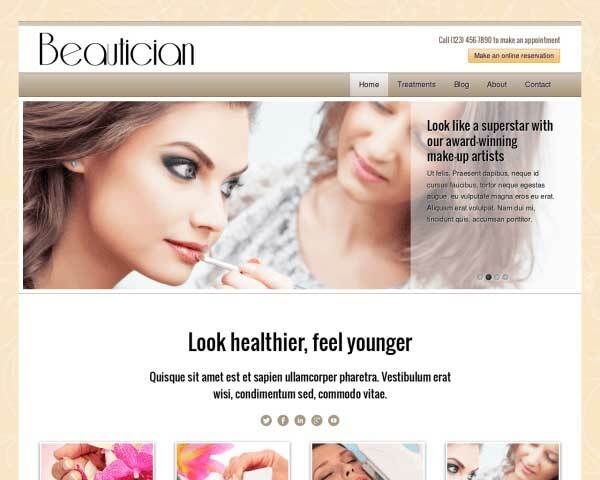 Call to actions are very important aspects of any site including this Hairdresser WordPress Theme. We've made sure that the call to actions can be configured directly using the front end editor. Included with the Hairdresser WordPress Theme are icons for the most popular social media platforms, allowing visitors to simply click to follow you online or share your content on their pages. 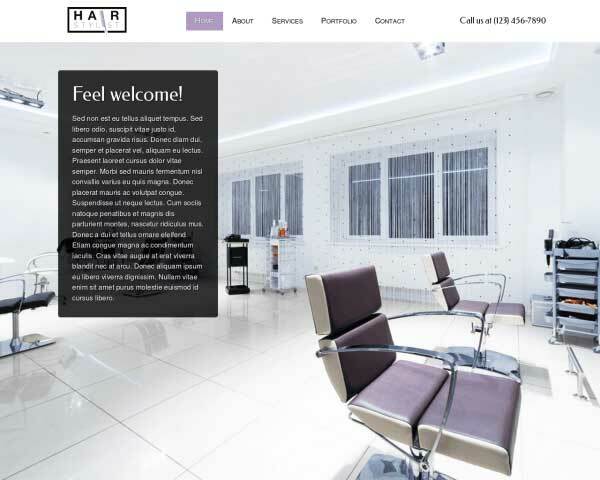 The Hairdresser WordPress Theme includes an About page with room for your photo and biography. Add rows and use widgets to add more photos, blocks of text or videos. 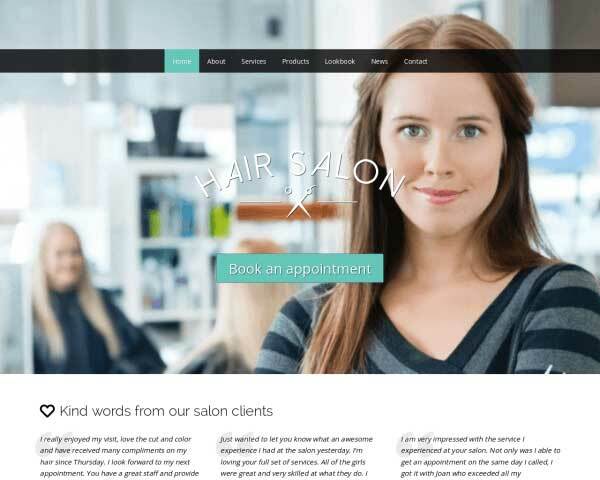 The Hairdresser WordPress Theme comes ready made with a trust icon section. Simply add icons for the associations you belong to and become an instant authority in the mind of your users! Our singular focus is to help individual small business owners to reap the benefits of having a professional online presence. 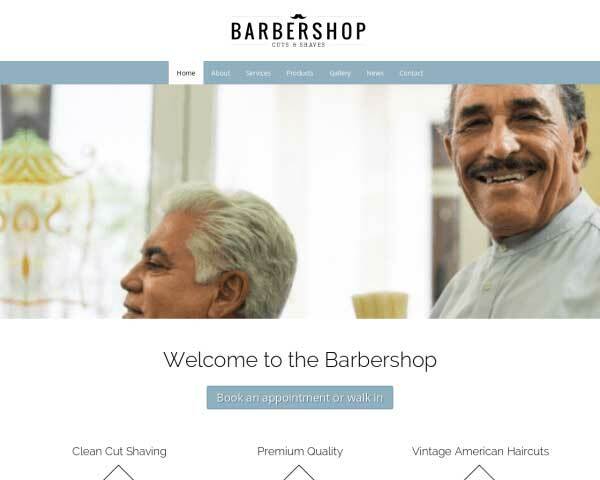 With the Hairdresser WordPress Theme you never have to worry about visitors leaving your non-responsive site because they can't interact with it on their mobile devices. Instead, your mobile users will not have a problem browsing your site from their mobile devices because the template is fully responsive.